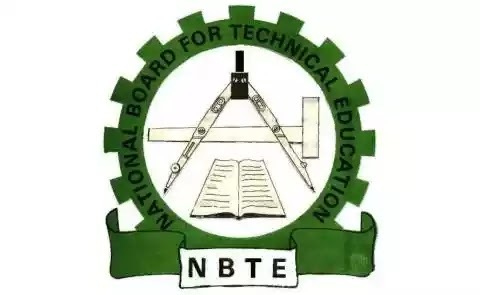 The National Board for Technical Education (NBTE) has ranked Federal Polytechnic Nekede, Imo, as the best in the country. Masa’udu Kazaure, executive secretary of the board, made this known in Kaduna on Thursday. Kazaure said the polytechnic emerged the best after scoring 85.08 percent in the assessment of 112 federal, state and private polytechnics in the country. He said the exercise covered the 2015/2016 and 2016/2017 academic sessions. Kazaure said the Federal Polytechnic Ilaro came second with 73.08 percent while Kaduna Polytechnic came third with 72.31 percent. Other polytechnics in the top 10 include The Polytechnic Ibadan, ranked fourth; Federal Polytechnic Bida is fifth while Auchi Polytechnic is ranked sixth. Institute of Management and Technology (IMT), Enugu, is seventh while Federal Polytechnic Offa, Rufus Giwa Polytechnic and Yaba College of Technology jointly occupy the eighth position. Federal Polytechnic Oko was ranked 11th while Federal Polytechnic, Idah, is 12th best in Nigeria. The NBTE boss said when disaggregated by ownership, Federal Polytechnic Nekede also emerged the best federal polytechnic in the country followed by Federal Polytechnic Ilaro and Kaduna Polytechnic. “The Polytechnic Ibadan, IMT and Rufus Giwa polytechnics were the highest ranked among state polytechnics, while Lagos City Polytechnic is the highest ranked private polytechnic and the 16th in the country,” he said. Kazaure explained that the polytechnics were ranked based on the total number of programmes with full accreditation in the last two years and percentage of programmes with full accreditation. He said: “Other criteria include proportion of academic staff showing the right mix, that is, chief lecturer and principal lecturer down to assistant lecturer; and ability of institution to introduce programme in new and emerging fields. “They were equally assessed based on capacity building of staff both within and outside Nigeria, teaching quality, including staff /student ratio and ratio of full-time to part-time staff8. “Other areas are availability of current campus master plan, strategic plan, and academic brief; percentage of academic staff with relevant higher qualification and professional registration; and 70:30 technology-non-technology enrolment ratio.